As the national governing body for group exercise EMD UK are dedicated to achieving our vision of a healthier nation through exercise. We work with instructors, operators and organisations across the sector to provide help, support and advice and to ensure that group exercise continues to inspire people of all ages and abilities to take part in physical activity. Our passion is training and supporting instructors throughout their careers. As a team made up of choreographers, fitness professionals and sports coaches, we understand what it’s like to be an instructor and ensure you’re supported every step of the way. Whether you’re starting out in your fitness career or you’re a seasoned professional looking for advice, EMD UK has the training support needed to get you where you want to go. With a variety of nationally recognised and accredited qualifications, as well as affordable insurance and support you can trust, see how EMD UK can make a difference to your career. The main event is the training protocol supported by music. Students will learn to programme a variety of exercises using a range of equipment in one epic class. Whatever your style, turn it into teaching with our Dance Fitness Qualification. It’s the only nationally recognised qualification that provides the perfect transition for any dance enthusiast or professional who wishes to become a dance fitness teacher. Ready to make the pool your studio? Diversify your instructor career with our Level 2 Water-Based Fitness qualification. 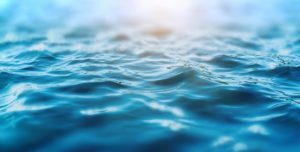 This is an entry level course for those looking to teach aqua classes and provides the perfect opportunity for existing instructors to expand their current offering and swimming teachers who would like to add water fitness classes to their skill set. Our Streamlined Personal Training pathway is the perfect all-in-one solution for any aspiring personal trainer looking to enter the fitness industry. 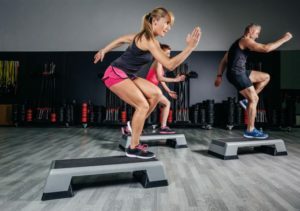 Combining the Level 2 Gym Instructing qualification with the Level 3 Personal Trainer qualification, this package gives fitness-minded people a strong start in the fitness industry. Perfect for those looking to start their own personal training business or run PT sessions as part of employment in a facility such as a leisure centre or health club. Our Level 2 Gym instructing Qualification is the perfect course for anyone looking to enter the fitness world through gym-based work. The qualification gives you all the skills and knowledge needed to build a career as a gym instructor. 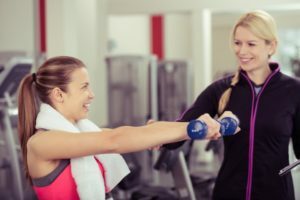 As an instructor, you’ll be working closely with a variety of people, introducing them to the gym environment and inspiring them towards achieving their fitness goals. Inspire people to reach their goals under your expert knowledge. 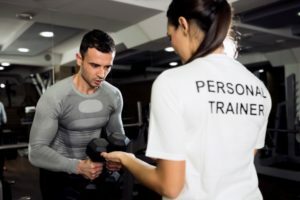 The career of a personal trainer is both varied and rewarding. Working with a range of clients, you’ll create bespoke programmes tailored to their goals. As a PT, you’ll be able to go on to build your own business should you wish and expand your clientele. Fallen in love with a particular fitness class? Are you dying to teach it, but have no experience or qualifications? Are you strapped for time? Are you looking for a great deal? 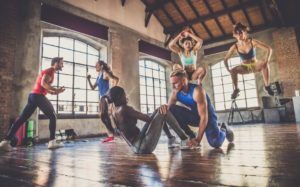 We’ve teamed up with most amazing group exercise organisations to give individuals one easy package and streamlined route to becoming the ultimate fitness instructor. 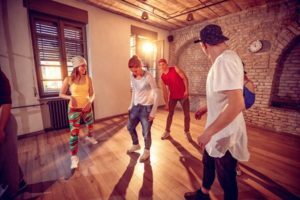 Combining both the required entry level qualification (either Exercise to Music or Dance Fitness) and style specific training, these packages are a one stop shop for aspiring instructors. Our nationally recognised Level 3 Exercise Movement and Dance qualifications offer a career step up for any inspiring instructor. Gaining key knowledge across a wide range of areas and expanding existing understanding, these Level 3 qualifications offer a base to engage even more participants and a specialisation in your chosen discipline. 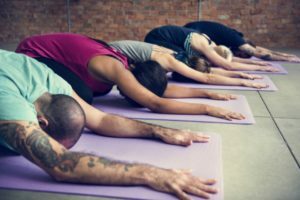 This qualification will expand your knowledge of fitness instructing ans is suitable for those looking to boraden thie skill set and teach Pilates. Our qualification is mat-based Pilates, using blocks, small Pilates balls and resistance bands. Those looking looking to expand their knowledge in the fitmess industry.